HOME is Where Our Stories Begin! Youth is that phase in life where dreams are built, hope is kindled, and bright futures full of opportunities are foreseen. This is the phase in which a child normally transitions over to a teenager by a certain age; however, today we are witnessing that many of these adolescents are entering this phase earlier than expected for a variety of contributing factors. It is clear that this stage can be quite challenging with many changes taking place at once, but with the right support these stages can be piloted. This is the most prevalent and fundamental purpose which Ozzy’s Journey recognizes as challenging, yet fruitful through its vision of supporting those who are dedicated sowing seeds and propelling adolescents to young adults through a youth development, educational mobilization, and a spirited community initiative which contributes to the production of exceptional young leaders for the Greater Good of humanity. Ozzy’s Journey empowers youth with knowledge, critical thinking, a spirited emphasis on faith, purpose, family, education, citizenship, patriotism, and sense of community in preparation for tomorrow’s world, while staying true to our Red, White, & Blue. It is a positive-can-do vision used to detect and deter them away from the negative influences and consequences that awaits to challenge them as adolescents. These are the years that are so vital and prevalent in finding their place in this world. This is a time to ensure that the proper seeds sowed into their lives are nurtured and well rooted in order to witness the manifestation of the fruits of thy labor. In short, it is a life skills investment which germinates leadership, proper forms of conduct, and possessing the technical competencies required for their future pathways. It also serves as the most opportune time support their ambitions while helping them grow spiritually, mentally, physically, and socially. These efforts are also aimed at cultivating them to serve a certain “way of life” in our communities as young responsible citizens. Our actions, time, and investment enhances the best positive outcomes for them. The journey further ignites the development of the proper skill sets required to plan a way ahead, make better choices, and mitigate consequences while serving with a purpose. 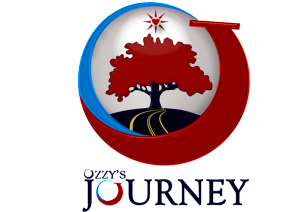 The secondary vision to the journey encourages individuals and communities to play an essential and active role in the lives of “our” children. It is a challenge and a societal “call to action” of committed involvement to mentor these youth in order to give them the best possible shot for a good future. As adults and educators in this world we all share a common interest and social responsibility for a better tomorrow, while our youths share a common denominator in bridging that gap for the greater good. Combining these two thoughts creates a win-win outcome for all involved. We aim to support those cultivating, mentoring, guiding, and encouraging these young men and women to achieve their desired goals while reaching towards their fullest potentials. Our steadfast efforts should also provide supporting arms in their fields of interest as we help boost them through their discoveries and pathways in life. Helping them ascertain that portal will catapult them to achieve greater heights and offer far greater contributions to the world in which we live in. Your time and investment are the critical components to their journeys and should be reflection to your very own as well. It should consist of life greatest lessons, unbreakable faith of love, and a sense of purpose to serve for the greater good. It should be one which instills a righteous path that breeds a moral and ethical compass response of “Doing the Right Things, for the Right Reasons, Even When No One Else Is Looking.” It is a responsibility to act as a Good Samaritan without turning a blind eye to. Our active involvement is subconsciously spirited into all facets of their adolescent lives that will produce a new generation of faithful and productive young citizens for generations to come. This is the ultimate goal that results from sowing the rights seeds that are Christ centered and propels hope for their bright futures.